Bo Jackson: A Freak of Nature. LeBron James, Usain Bolt, Calvin Johnson; just a few examples of professional athletes that are considered to be a "freak of nature" in their respective sports. Although these guys are considered to be abnormal and gifted athletes, there's a former professional athlete that totally embodied the freak of nature term long before these guys became famous. His name, Bo Jackson. In December of 2012, ESPN Films '30 for 30' series aired a documentary titled 'You Don't Know Bo: The Legend of Bo Jackson'. This documentary was an in-depth look at the life and legend of former two sport athlete Bo Jackson, who to this very day is still considered by most to be a mythical sports hero. Not only is Jackson viewed as a hero by many, he is considered by some to be the greatest professional athlete of all-time. I didn't catch the documentary when it aired initially in 2012. However, I recently watched a replay of what I personally consider to be one of ESPN's best documentaries of an individual athlete. Viewing this film helped give me more insight into why Bo Jackson is still such an intriguing figure in American sports folklore. As great as I thought this documentary was, it was also bittersweet to relive how instantly Jackson's career in sports came to a halt. I believe that Bo Jackson personifies a legendary athlete that accomplished much in his career, yet so little at the same time. Jackson's Bio and Early Life. Born and raised in Bessemer, Alabama, Vincent "Bo" Jackson was born on November 30, 1962. During his days as a youth, Jackson was known to constantly get into trouble. In the documentary, it was stated that many occasions of Jackson getting into trouble was attributed to the fact that he suffered a speech impediment. Because of this, Jackson was often teased by the other students. Since Jackson stayed in so much trouble, Jackson's family described him as a "wild boar hog". This nickname would eventually be shortened to Bo, however, according to commentary in the documentary, Jackson received the nickname "Bo", due to Jackson being physically able to throw stones so hard that he knocked out boar hogs. While attending McAdory High School in McCalla, Alabama, Jackson excelled in football, baseball, and track and field. In his senior year as a running back, Jackson rushed for 1,175 yards. As a baseball player, Jackson hit 20 home runs in 25 games as a senior. Adding to his high school accomplishments, Jackson was also a two-time state champion in the decathlon, setting records for indoor high-jump and triple-jump. From early on in his high school days, Jackson's high school coaches knew that he was both a rare and special talent. A big and tall high school athlete standing over 6 feet and weighing 200 pounds, Jackson was also very speedy. Jackson ran the 100 meter dash in 10.39, which at the time was considered amazing for a high school athlete. Jackson's high school talents didn't go unnoticed, and he was drafted by the New York Yankees in the 1982 Major League Baseball Draft. However, Jackson promised his mother that he'd be the first in his family to go to college on a football scholarship. Attending college would be the beginning of the legendary status that Jackson has become known for. According to the '30 for 30' documentary, Jackson was heavily recruited by both Auburn and Alabama universities. Growing up, Jackson was an Alabama fan, and it was expected by most that he would attend Alabama. However, during a meeting with a Tide recruiter, Jackson was told that he "might" be starting by his junior year. On the other hand, Auburn head coach Pat Dye sold Jackson on the fact that he would get a chance to play in his first year. Clearly, this made Jackson's decision easier, and he decided to go with Auburn. While attending Auburn University, Jackson continued to excel as an athlete in multiple sports. In 1985, Jackson batted .401 along with 17 home runs and 43 RBI's. Jackson's biggest moment in his collegiate baseball career came in a 1985 game against the Georgia Bulldogs. Jackson would hit three home runs, and batted a in a double. Jackson's performance helped lead Auburn to a 5-4 victory over Georgia. 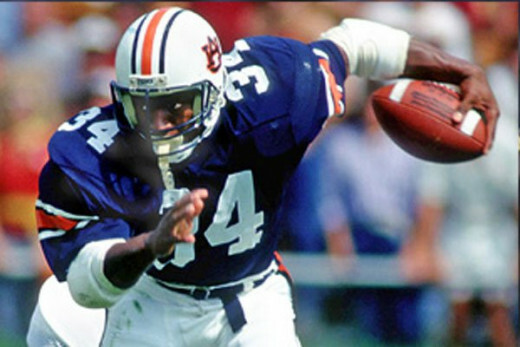 As a football player at Auburn, Jackson ran for 4,303 career yards on 650 rushing attempts. Jackson's career yardage as a rusher is only second in SEC history behind Herschel Walker, who ran for 5,259 yards during 1980-82. Jackson would later set an SEC record with a career average of 6.6 yards per carry. Other accolades for Jackson as a college football player included being named MVP in the 1983 Sugar Bowl, and earning MVP honors in the 1984 Liberty Bowl. Jackson's biggest achievement playing collegiate football came in 1985, when he was awarded the Heisman Trophy. In in season, Jackson rushed for 1,786 yards. Jackson also would average 6.4 yards per rush this season, and scored 17 touchdowns. 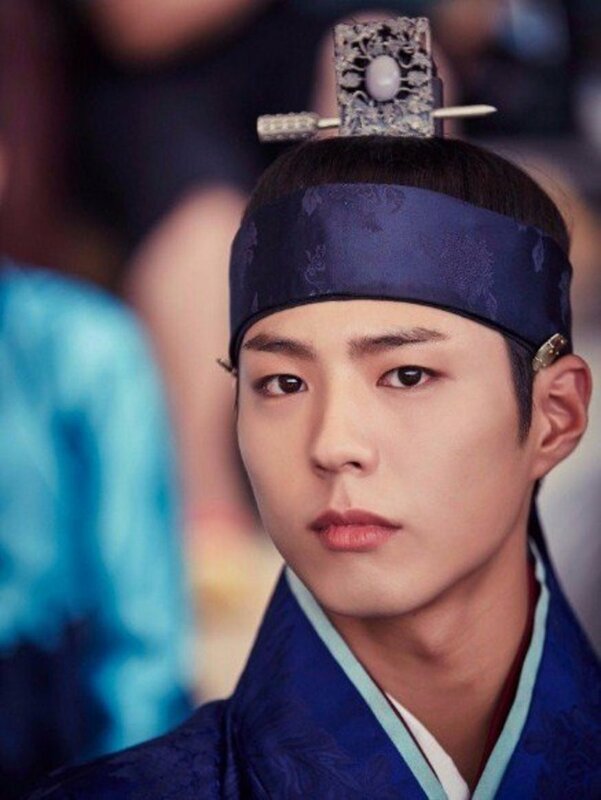 Everything seemed to be going well for Jackson, and his future seemed to be mapped out completely, that is until a controversy surrounding Jackson ensued. Because of his collegiate achievements as a football player, Jackson instantly gained notice from several NFL teams. One of the teams that took interest in Jackson were the Tampa Bay Buccaneers. Jackson was flown in on a private jet to Florida to take a physical for the Buccaneers. Being that he was a college athlete, Jackson was told by the Buccaneers organization that this trip was okay. Unfortunately it wasn't, and Jackson would become ineligible by the NCAA to play baseball his senior year. According to Jackson in the documentary, Jackson believes that the Buccaneers organization maliciously tried to sabotage his baseball career. Becoming A Star In Two Sports. Infuriated by the feeling that the Tampa Bay Buccaneers organization deceived him, Jackson said that he would not play for the Buccaneers if they drafted him. In the 1986 NFL Draft, Jackson was taken first overall by the Buccaneers. Jackson held true to his threat, and never signed with the team. The Buccaneers would later forfeit his rights. Following the football fiasco, Jackson declared himself eligible for the 1986 amateur baseball draft. He would be drafted in the fourth round by the Kansas City Royals. After playing in the minor league for a Royal's affiliate, Jackson was called up to the majors in 1986. 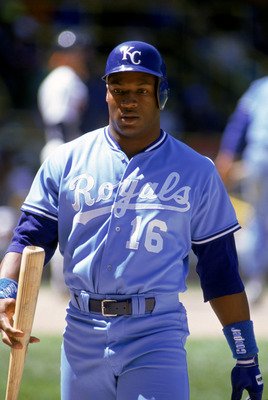 He would make the Royals roster as an outfielder in 87, and would hit 22 home runs, with 53 RBI's, and 10 stolen bases. In 1989, Jackson's talent as a baseball player really began to be displayed. Jackson was voted as a starter for the American League in the all-star game, and was named the game's MVP for both his offense and defense play making. Although Jackson was becoming a star in professional baseball, Jackson's professional football career was getting started as well. While in spring training with the Royals, Jackson was informed that there may be an opportunity to play football again. Jackson would be drafted in the seventh round, the 183rd pick overall by the Los Angeles Raiders. Jackson initially wanted to focus on baseball, however, Raiders owner Al Davis; a fan of Jackson's, was receptive to Jackson playing both sports. A contract would be negotiated where Jackson would continue to play for the Royals, and then report to the Raiders when the baseball season was done. The Raiders already had a star running back in Marcus Allen. However, Jackson would eventually become the Raiders feature back. Jackson's biggest performance as a rookie came on a national televised game on Monday Night Football. The Raiders squared off against the Seattle Seahawks in week 11. Jackson scored on a 91 yard rushing touchdown in the second quarter, and would rush for 221 yards and 2 TD's. Even more impressive was that of those rushing touchdowns came when Jackson ran over Seattle linebacker Brian Bosworth, who before the game made it his mission to stop Jackson. Jackson played only seven games his rookie season, but still managed to rush for 554 yards on 81 carries. Jackson also averaged an eye opening 6.8 yards per carry. Jackson's best season as a football player would come in 1989. Jackson played in 11 games, and rushed for a total of 950 yards. Jackson would average 5.5 yards per rush, and score four touchdowns. Jackson followed up 1990 playing in ten games, and rushing for 698 yards. He would be selected to his first and only Pro Bowl later in 1990. Jackson was officially an athlete having success in two major American sports. Career Changing Injury, Comeback to Baseball, and Retirement. 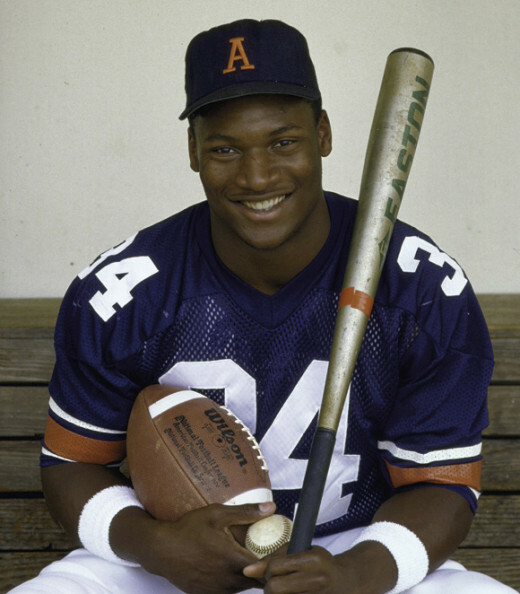 As as two sport athlete, Bo Jackson continued to showcase his amazing talents. 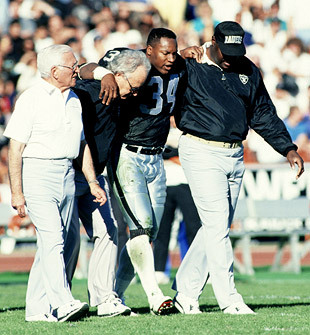 However, in a divisional round playoff game against the Cincinnati Bengals in January of 1991, Jackson suffered a career threatening injury. During a Raiders rushing play, Jackson broke away from the Bengals defense for a long gain. Jackson would be tackled from behind by Bengals linebacker Kevin Walker. The tackle initially didn't look bad, however, Jackson would suffer a severe hip injury, where his left hip apparently came out of socket. While lying on the field in pain, it's alleged that Jackson popped his hip back into place. Jackson was done for the game, and would later find out that his injury would require surgery. It was during surgery and rehab of his hip that Jackson discovered the true extent of his injury. It was discovered that Jackson had developed avascular necrosis. Jackson's left femur wasn't receiving an adequate supply of blood, which lead to deterioration of the femoral head. Jackson would discover that he would need a hip replacement, which would end this professional football career. Following hip surgery, Jackson proclaimed that he would play baseball again. Many thought that this was unrealistic, however, Jackson made his return to baseball in near the end of the 1991 season. Jackson would be released by the Royals in March of 1991, and would later join the Chicago White Sox. Jackson played 23 games for the White Sox in 91, but would miss the entire 92 season. He returned to the White Sox in 1993, playing in 85 games. During his stint with the White Sox, Jackson promised his mother, who was battling colon cancer, that he would hit a home run for her upon returning from his surgery. Although Jackon's mother passed away before he could fulfill his promise, Jackson did hit a home run in his first at bat following his surgery. According to Jackson in the ESPN documentary, Jackson had the home run ball encased in acrylic and bolted to his mother's dresser in her bedroom. Although Jackson's amazing power at the plate remained, the hip injury limited his one blazing speed. Jackson signed with the California Angels in 1994. This would be his last season playing professional sports. 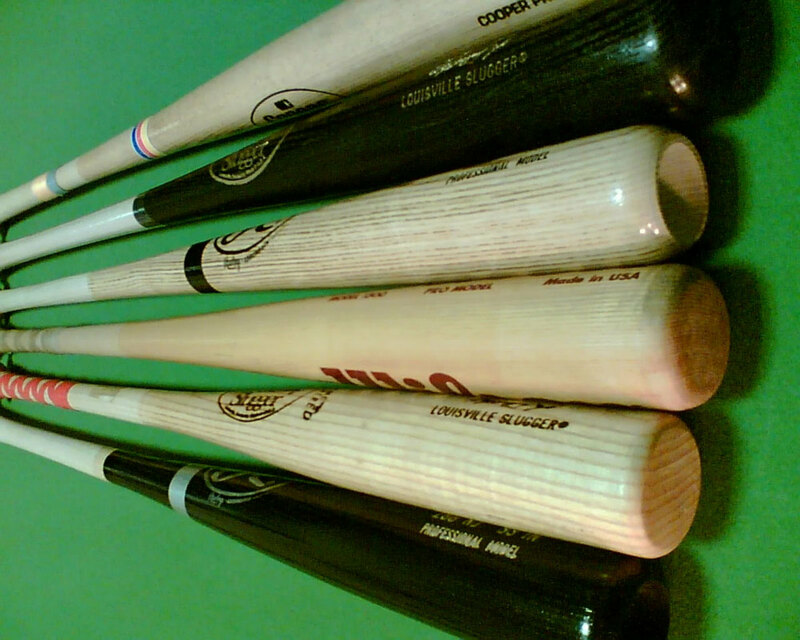 Jackson hit 13 home runs this year, and retired during baseball's 1994-95 strike. Career Stats and Interesting Facts About Bo Jackson. 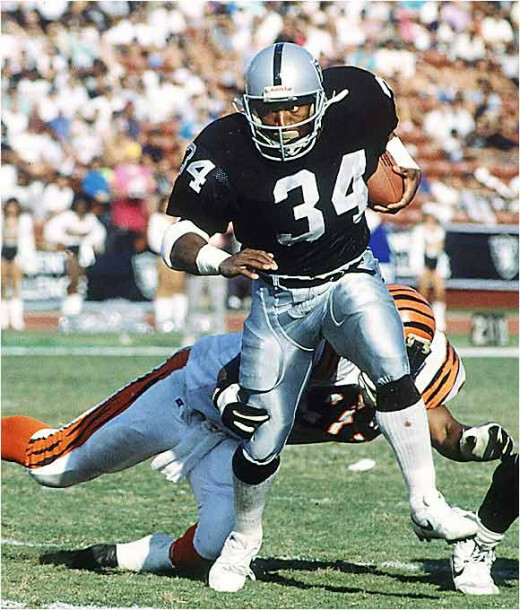 Bo Jackson played eight total seasons in Major League Baseball, and four total seasons in the National Football League. Jackson finished his baseball career with a batting average of .250, 141 home runs, and 415 RBI's. Jackson also had a career slugging average of .474. During Jackson's four seasons in the NFL, he totaled 2,782 rushing yards, with a 5.4 yards per carry average. Jackson scored 16 rushing touchdowns, and caught 40 passes for 352 yards and two receiving touchdowns. Here are some more interesting facts about Bo Jackson. 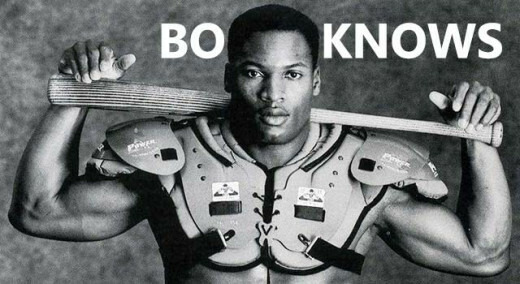 'Bo Knows': Jackson was part of a major marketing campaign for the Nike brand in the late 80's and early 90's. The ad campaign was called 'Bo Knows'. Since Jackson was a two sport athlete, Nike geared a specific shoe towards athletes engaging in more than one sport. The initial ad featured several professional athletes including Michael Jordan, Wayne Gretzky, Kirk Gibson, and Jim Everett. Blues legend Bo Diddley also makes an appearance in the ad. Poor Bat: After striking out at the plate, Jackson was known for breaking baseball bats over his knee, and sometimes on his head with his helmet on. Monday Night Football Record: Jackson's 221 rushing yards on November 30, 1987, just 29 days after his first NFL carry, is still a Monday Night Football Record. 'Greatest Athlete In Video Game History': Jackson is often referred to as the "greatest athlete in video game history." Jackson's video counterpart was virtually unstoppable in the 1989 video game Tecmo Super Bowl. Jackson has also been featured in games like 'Bo Jackson's Hit and Run', and 'Bo Jackson Baseball'. Jackson can also be unlocked as a character on 'ESPN NFL Football', and made an appearance in the 2004 game 'NFL Street 2'. Cartoon Character: Jackson appeared with Michael Jordan and Wayne Gretzky as a cartoon character in the cartoon 'ProStars'. Following his professional sports career, Bo Jackson went into other business ventures. 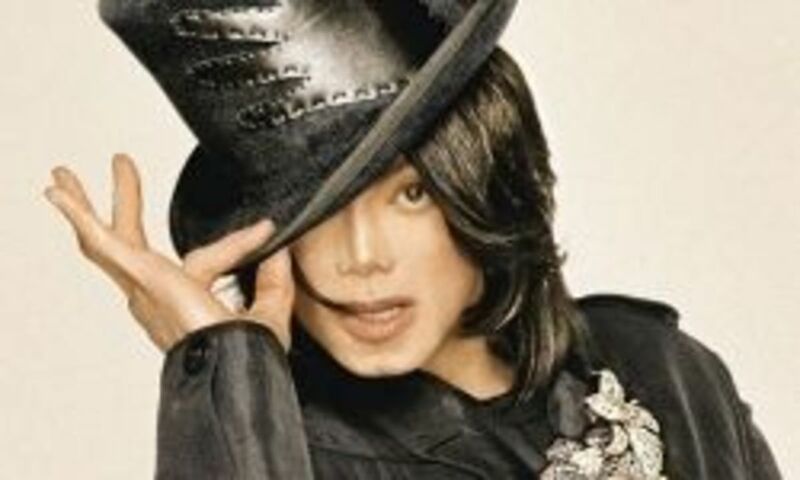 In 1995, Jackson earned a Bachelor of Science degree in Family and Childhood Development at Auburn University. Jackson has also appeared as an actor on several shows including: 'Married...... With Children', 'The Fresh Prince of Bel-Air', and 'Lois and Clark: The New Adventures of Superman'. Jackson has three children, and is married to his wife Linda. In the ESPN documentary, it was shown that Jackson is an avid hunter. Jackson also showcased some of his prize trophy game mounted on his wall. The documentary also showed Jackson to spend a lot of time in his man cave sharpening arrows for his crossbow. Jackson remains out of the spotlight for the most part, and doesn't follow sports much these days. 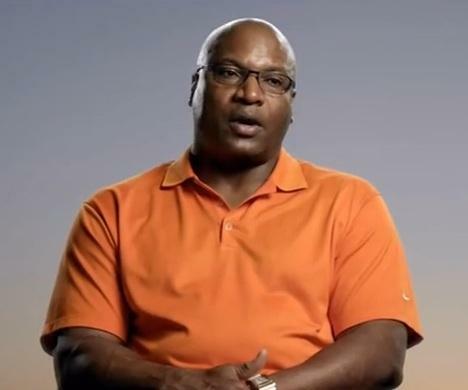 When one looks at Bo Jackson's career in sports, you can't help but to wonder what if? Jackson holds the distinct honor of being the only athlete to be named an All-Star in two major American sports. However, besides a few playoff appearances Jackson never won any titles in professional sports. One can only wonder what could have been in regards to Bo Jackson. 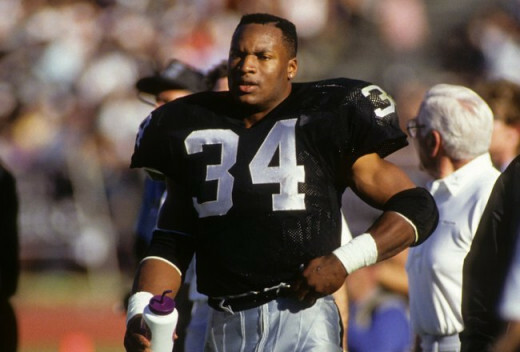 What could a healthy Bo Jackson that played more than 4 seasons in the NFL had done? Would he be in the NFL's Hall of Fame by now, or possibly the greatest running back to ever play? Could Jackson's baseball career have lasted longer than eight seasons had he not played football? There are a lot of "what ifs"? when it comes to what Jackson could have done. 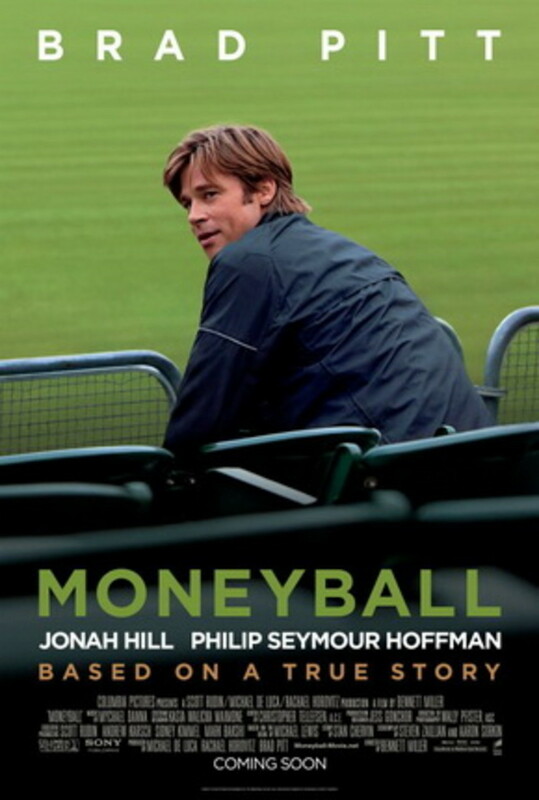 However, based on what Jackson said in the ESPN film, he seems to be content with how his profession career turned out. 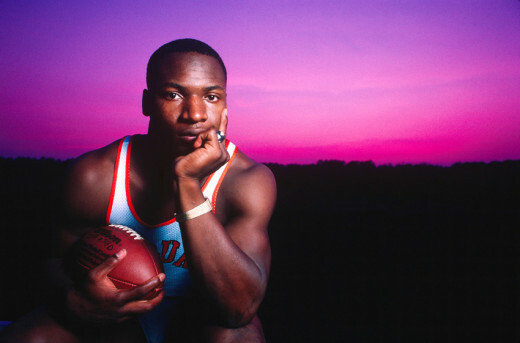 When you hear of athletes these days that are coined "freaks of nature", remember that Bo Jackson was one of the first. @Ann1Az2, Yes, he was definitely an amazing athlete. Would have been nice to have seen how the rest of his career as a two sport athlete developed. I think he could have been one of the greatest. Thank you for the kind words, and thanks for reading. What an amazing athlete. This is a great tribute to him. Well done. @janshares, Thank you very much for reading Janis! I have to admit that I had somewhat forgotten how great Bo Jackson was until I watched the documentary. He was truly one of the most gifted athletes that we've seen in American sports. I remember watching a Raiders game as a kid, and I can't remember who they were playing, but I remember seeing Bo get the hand off, and hit the sideline with amazing speed. I can't remember the last time I saw a running back that big, but with that kind of speed. His talents are definitely unmatched. Thank you again! Well done, prospectboy. 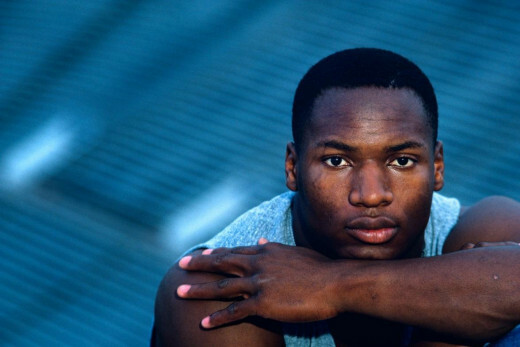 This is a very informative article on the life and amazing career of Bo Jackson, a superb and accomplished athlete who has been all but forgotten. Thanks to EPSN and your article for highlighting this legend. I forgot how special he was until I read this. His success, although cut short, is unmatched. Voted up and interesting.